The view south from the School of International Affairs. 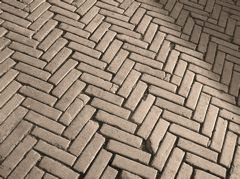 Brick pathways throughout campus have this herringbone pattern. 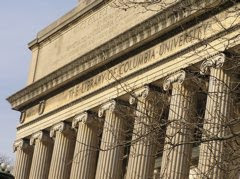 Low Library (previously seen behind Alma Mater). All images shot with Olympus 760 UZ point & shoot, no filters or editing.